Gaia Gardens is a certified organic farm dedicated to demonstrating and teaching urban farming and sustainability skills, incorporating biodynamic and permaculture practices. We believe that lasting ecological health and social well-being can be fostered by rekindling our connection to the Earth and reclaiming our food sovereignty. Gaia Gardens, as an urban neighborhood farm, defines the unique qualities of a culturally and socially diverse initiative that promotes health and wholeness. With Gaia Gardens as a backdrop for a healthy lifestyle, children and their families learn the importance of choosing wisely what they eat. 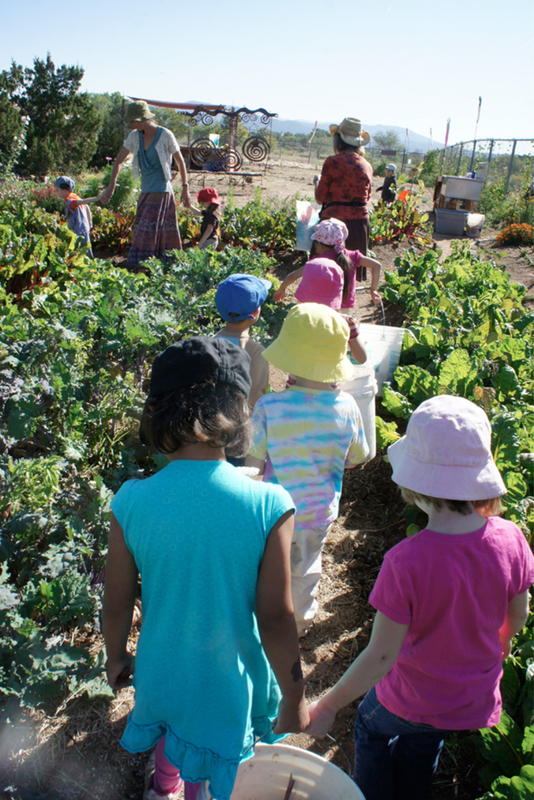 Through Gaia Gardens’ comprehensive educational initiatives, they experience first hand how to cultivate the soil, grow vegetables, tend to chickens, harvest what they have grown and celebrate the joy of consuming what they have helped create. Gaia Gardens currently sustains itself by selling produce, plant starts, earth worms, compost tea and seeds at the Santa Fe Farmers Market, by running a small CSA (Community Supported Agriculture) and supplying several local restaurants. Gaia Gardens’ goal is to become a key educational center and showcase for year-round urban agriculture in Santa Fe, as well as a place of practice for sustainable community. Gaia Gardens is a non-profit project fiscally-sponsored by the New Mexico Community Foundation.